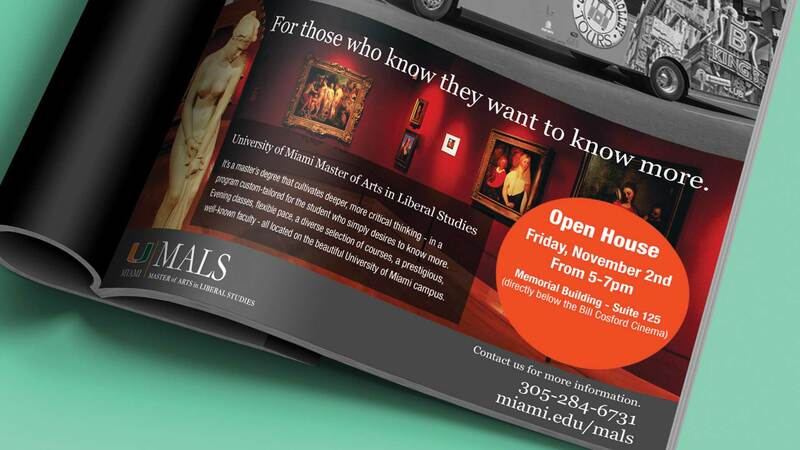 UM MALS, or the University of Miami Master of Arts in Liberal Studies, is a post-graduate program that offers a degree in a very broad range of Liberal Arts subjects. 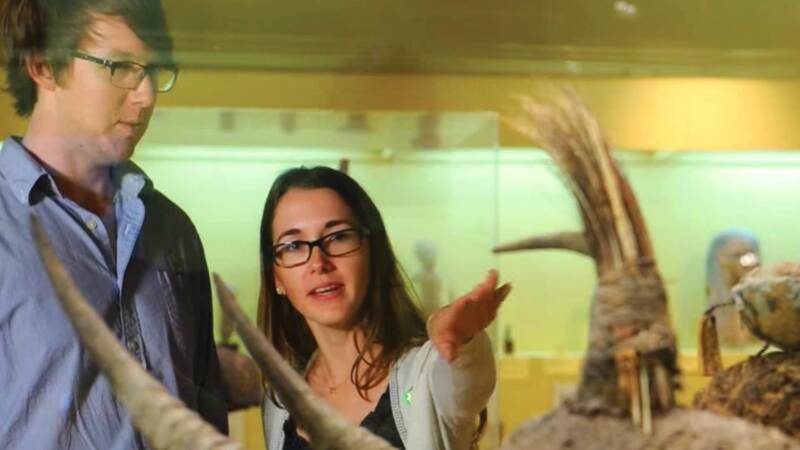 It harkens back to the very early strategies of teaching wherein a student’s curriculum often covered a lot of intellectual territory to engender among them a panoramic view of the world. 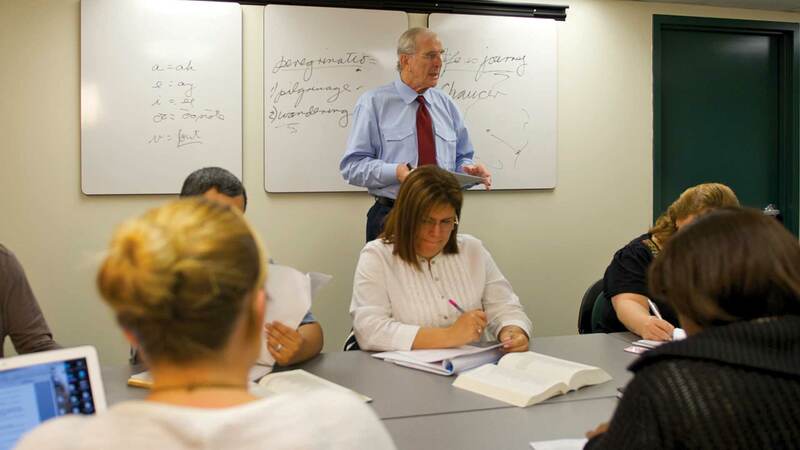 The program is tailored for college educated professionals with careers who aspire to expand their horizons by delving deeply into diverse subject matters. 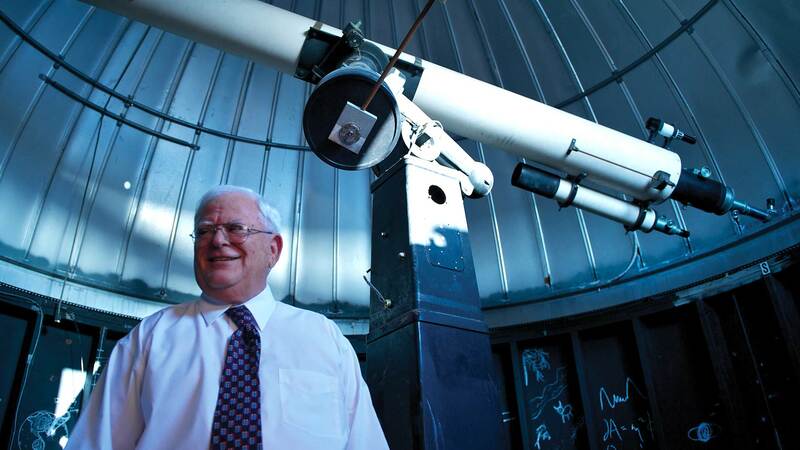 The MALS’ Program Director wanted to increase enrollment and approached BlackDog Advertising with the challenge. Because there existed so few of these accelerated types of programs that were on a level comparable to that of the University of Miami, there were little if any marketing guidelines established that one could glean from, mold and apply to a 360˚ multi-media campaign. To develop a 360˚ campaign that showcased the MALS program like never before, increasing brand awareness and reaching new audiences through both digital and traditional media. 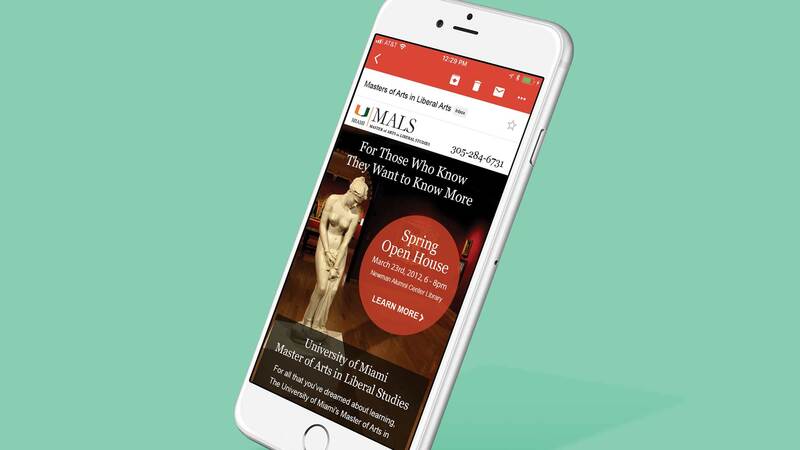 The program had general information pages on the main University of Miami website and our advertising agency was tasked with constructing a dedicated website that not only had to look and function at a high level but had to adhere to strict policy guidelines the school administrators had laid out. These restrictions, however, managed to fuel the creative in a very positive direction. A video, directed and filmed by BlackDog, featuring MALS Director Eugene Clasby, Ph.D., members of faculty and former and current students was produced and several versions were used on the website and posted to other social channels. All of our digital efforts redirected to a dedicated landing page. Once there, candidates could request to schedule a private meeting with one of the program’s professors which, in turn, generated leads. 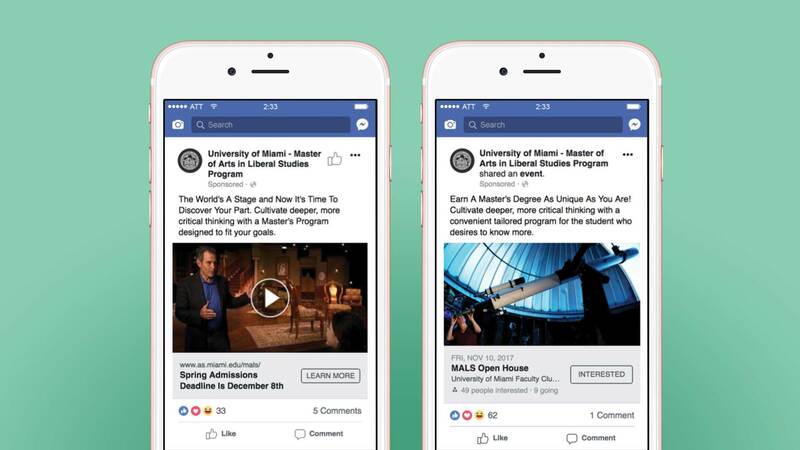 An eBlast, with a call to action to attend an on-campus Open House to get familiarized with the course offerings, was coordinated using the school’s curated database in addition to targeted promoted social posts. BlackDog’s photography was essential in not only drawing the viewer’s eye but in stoking their imagination so the idea of enrolling becomes real. 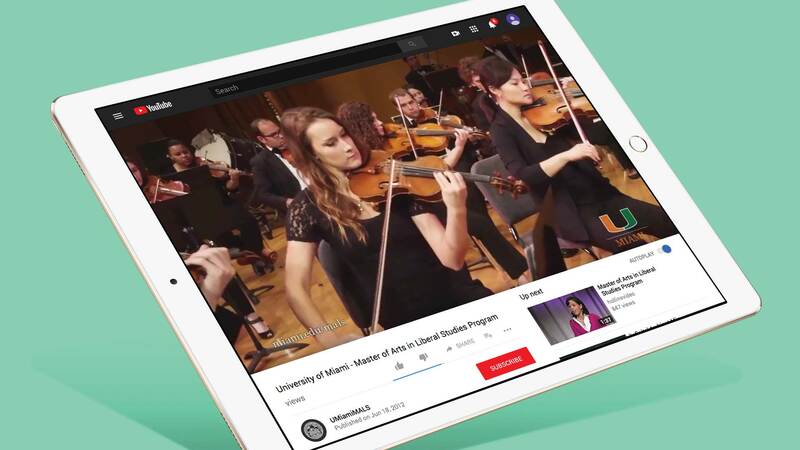 Rich, beautiful images of museum galleries, a dressed and lit theatrical stage and a symphonic hall with students rehearsing a concerto were utilized not only on the website but across multiple platforms. BlackDog integrated a dynamic phone script on the website for online advertising campaigns to determine which campaigns lead to the most phone calls. The number on the website would swap based on tracking tags and equate phone calls to campaigns. We used separate tracking numbers on all print and OOH materials to gauge interest and measure phone calls from those publications as well. BlackDog Advertising ® is a registered trademark of The Penney Group, Inc. © 2019 BlackDog Advertising • 8771 SW 129th Terrace • Miami, FL. All Rights Reserved.